"Subtle" may not be an adjective that pops into your mind when reading most crime novels, but it does describe John Brady's new Matt Minogue novel, The Coast Road, so far accessible only from Canadian sources. Dublin Inspector Minogue has been sent to a new "cold case" sort of squad, charged to review unsolved cases, and his former colleague Tommy Malone is to be his assistant. Malone, as anyone who has followed the series, has a lot of baggage, and adds to it at the start of this book with a suspicious encounter with the gangster who had his twin brother (who was also a gangster) killed. And the background is post-Tiger Ireland, with all its still current difficulties, as well as the revelations of abuse by the priesthood. But Minogue and Malone's survey of cold cases is derailed immediately into a review of the murder of a homeless man who had roamed the east coast of Ireland. The investigation leads to a nun who runs a shelter, a dodgy wannabe journalist, and a reluctant sister. But most of the book is told in conversations and interviews that circle around the facts and the plot rather than approaching them directly. What is actually going on, much less what led to the murder, lies beneath this surface for the reader as well as the detectives. Fortunately, the dialogue is lively (all the more so because of the wit of the detective and the skill of the author). 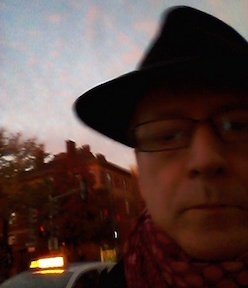 Minogue is dealing with some change in his family, not only with his emigre children but with his wife's involvement in a group that seeks religious renewal (Minogue himself has little sympathy for the Church). A major theme is generational differences, particularly between urban Malone, not interested in the Irish language, and Minogue and his cohorts who were raised speaking (at least a little) the language. Among Minogue's generation, the regional differences (particularly in dialect and accent) of Ireland are important markers and the source of much slagging among the cops, while Malone is more of a European. The plot also turns on changes among the criminal community, including international participation. Anyone who has followed Brady's work will be delighted to discover that there's a new book that is easily up to the standard of his earlier novels. 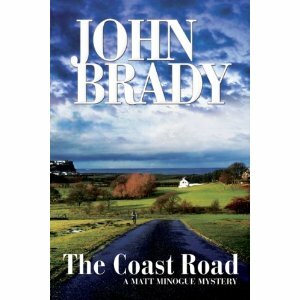 Anyone not familiar with Brady could well start with The Coast Road, and if you have a taste for something quite different from the straight-ahead thriller sort of crime novel risks becoming the kind of fan that eagerly searches through used book sites and stores for the other books. I was finally able to purchase The Coast Road, in electronic format of all things, and downloaded it immediately. Your review is dead on and I especially like your mention of the regional and generational differences between the characters. I would probably advise new readers to begin at the beginning. The, to my mind, rising tension from one book to the next culminated in Islandbridge, which had me by the throat at the end. I may be the only reader who liked that book, but I count it as one of my favorites. Watching the ascendance of Ireland, its near-collapse and the changes wrought by both through Minogue's eyes has been especially insightful. His thought, that he was a man without a son in his own country, says much about the state of his heart and his homeland.